Plot The Mega Mondo Pop Cartoon-a-Con in sunny California marks the spot for mystery in this all-new original Scooby-Doo adventure! 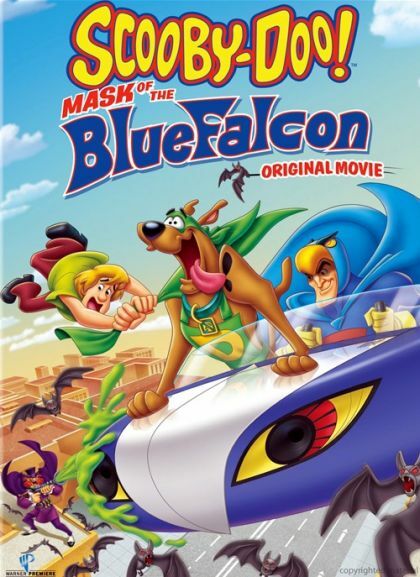 Herculoids Frankenstein Jr. and Space Ghost are just a few of the celebrated comic book characters headlining at the unconventional convention plus there's a megabucks movie premiere starring Scooby-Doo and Shaggy's all-time favorite super heroes Blue Falcon and Dynomutt! So when the gruesome villain Mr. Hyde unleashes monster bats howling hounds and sinister slime upon the festivities it's time for Mystery Incorporated to follow the clues and set their monster traps. But it's the pizza-snacking super-powered tag team of Shaggy and Scooby-Doo who tap into their inner super hero to prevent the entire event from being smothered in ghoulish green goo! Like right on Dog Wonder!